Mary Brain: new album "Light After Dark"
Valery Records and V-Promotion are proud to announce the forthcoming release of Mary Brain's "Light After Dark" album. Born in 2006, Mary Brain, is an Italian band based in Modena, with already an EP and a previous album to the active: "Pay For Your Sins" EP (2009) and "Regression Of Human Existence" Album (2013) . The line up consists of: Matteo Vicenzi (Vocals) Andrea La Piccirella (Guitars) Nicola Palma (Bass) and Andrea Ferrari (Drums). 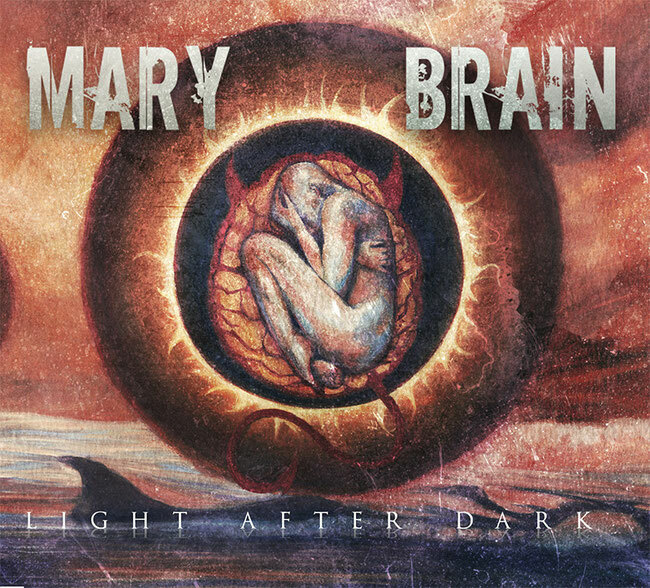 From the point of view of sound, the first influences of Mary Brain range from rock to 'heavy, passing through the prog / trash with dark veins then matured in "Light After Dark" album with strong references to hard rock and heavy metal 70 years / 80 and a prog flavor that continues to be present in their music. In the first full lenght, "Regression Of Human Existance", the pessimistic vision of the human race is well highlighted not only in thematic content but also in dark sound with dark and introspective veins, while in the new album "Light After Dark", also reflecting the positive current condition of the band, we finally see the light appear after darkness. The sounds, arrangements and lyrics are now definitely more positive and optimistic and the sound of Mary Brain is therefore quite different from the previous album. This new style is defined by the Modenese combo "Metarock" and is born to propose something innovative, that is an interesting mix between Metal, Rock and Prog. "Metarock" conveys a feeling and a certain groove more, a strong and recognizable identity that makes the sound of Mary Brain definitely personal and unique. The release of "Light After Dark" will be accompanied by a promotional tour, an excellent opportunity to see the band in action and feel for themselves their innovative and special sound. "Light After Dark" will be released on September 28th 2018 on the Valery Records label, distributed by Audioglobe, and available worldwide on I-Tunes and on all the best online stores. The promotion and the press office will be handled by V-Promotion.